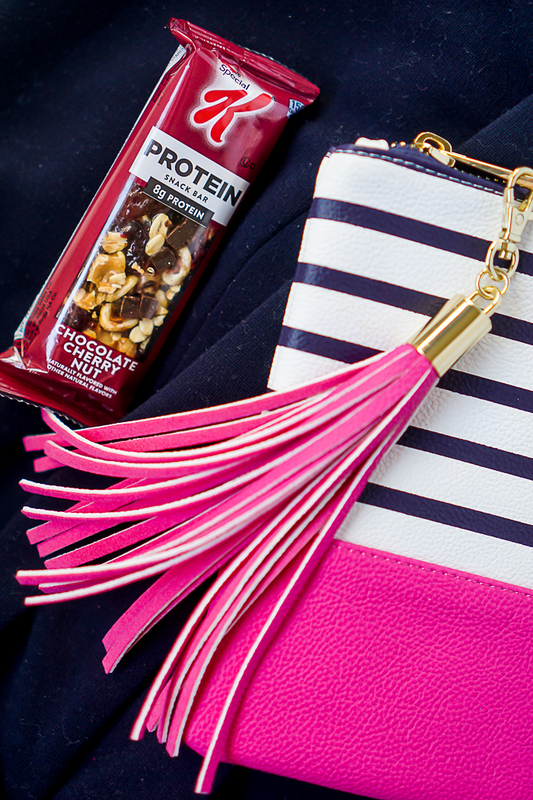 I’ve Become a Crazy Bag Lady with an On-the-Go Lifestyle and Keeping these Items on Hand Helps Me Do it All! I’m constantly switching bags and roles, but some things always stay the same to keep me organized, focused and energized. 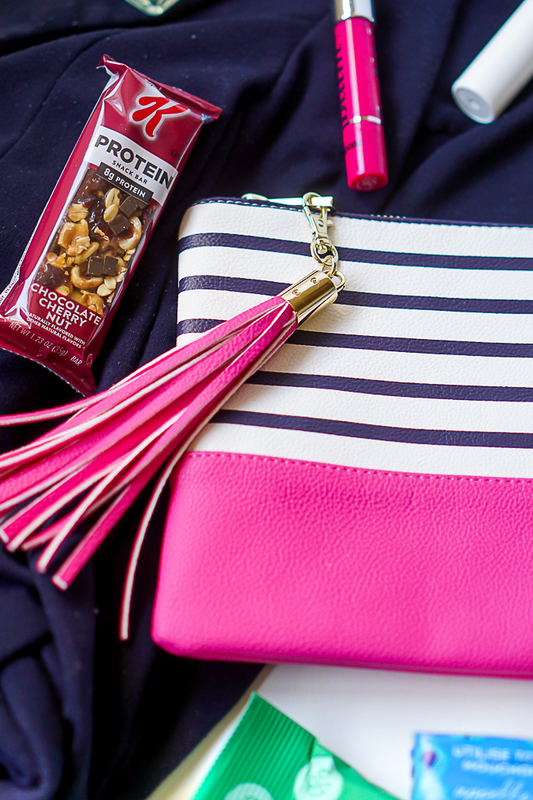 Whether it’s hand sanitizer, lip balm or wholesome, on-the-go snacks, there are just a few key items you will usually find on me to help me stay on top of everything, even if it means cramming them into a small date night purse. So here are the MOM Items, the ME items, and the WELLNESS items that help me keep up with all these roles. Before becoming a mom, this was definitely not included on my essentials list. With strict deadlines to meet, photo sessions to stage, dinners to make, errands to run, Netflix to watch, and a baby to care for, I can’t afford to get sick. Any little bit I can do to keep me at my best – or at least at my healthiest – is worth it! It also makes me feel really on top of life because it’s the one thing I have that people actually ask for. This is especially true when I have the diaper bag. People really are more conscious of germs and what they’ve been up to, trying to help keep the baby healthy. Then there are the ME items. It is so easy to forget about self-care amidst all the craziness that is our daily lives. I went over a year without a hair cut, can’t remember when I last had a manicure or pedicure, and literally dream about getting a massage. The least that I can do for myself is keep a couple me items in whichever bag I have at the moment, such as a little bottle of lotion, hair ties, and pretty lip balm. Little things that help me feel put together and keep me comfortable. Lastly, there are the WELLNESS items I keep with me. With both migraines and allergies, my wellness items will always include some ibuprofen or allergy meds to keep me going. It also always includes wholesome, great tasting snacks because they are essential for maintaining my lifestyle. I am the person who packs a snack even when we are going out to dinner because you never know when you might have to wait an hour for a reservation. Firstly because I need the energy. This new mom is sleep deprived, exhausted, and sometimes forgetful about when meal times are, so adding wholesome-snacks with real ingredients, especially ones that are protein packed, into my daily routine helps me keep going. 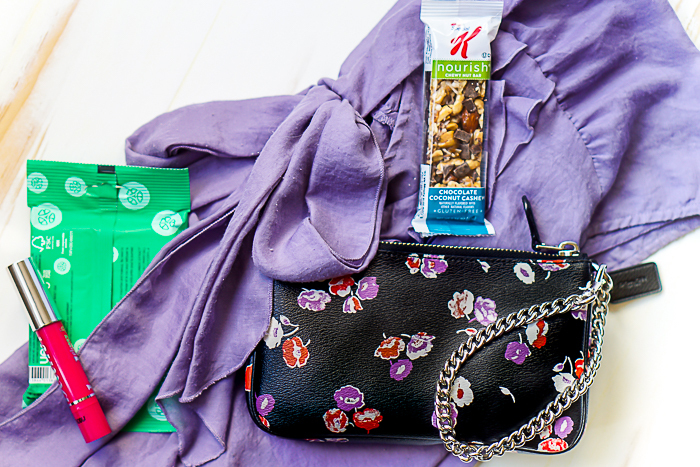 Even when I’m on the go, I can easily take with me what I need in one of my many bags because Special K Snack Bars and Special K Snack Bites are portable. 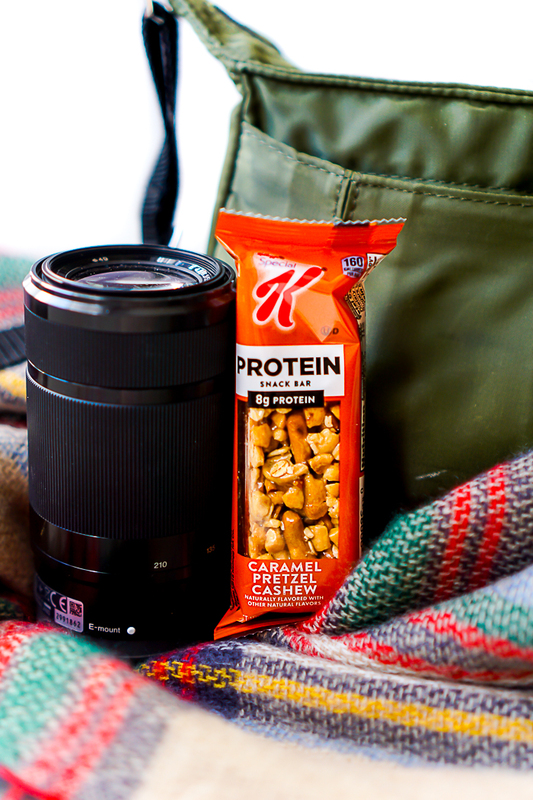 For long days, especially says that include a few hours of photography, I depend on the Special K Protein Snack Bars. 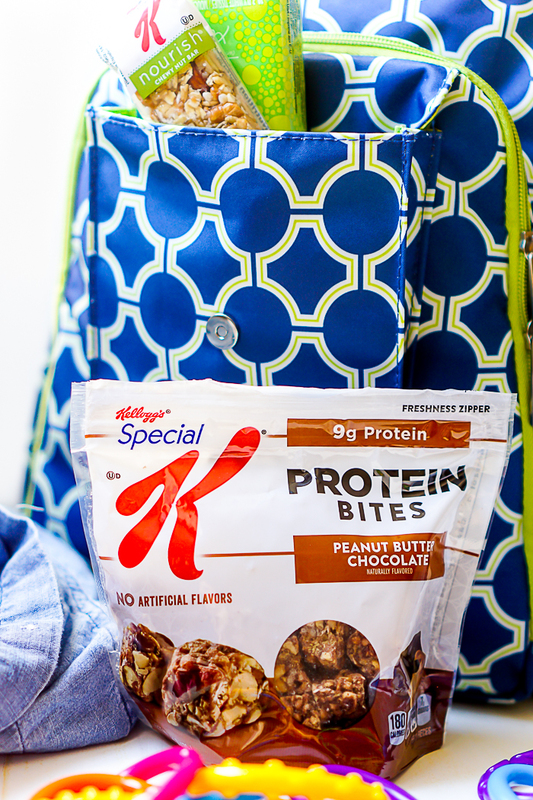 They offer 8 grams of protein in delicious flavors like Caramel Pretzel Cashew and Chocolate Cherry Nut. Best part is that they fit in any purse that I own and even my full wallet, too. I was in the middle of shooting a 3 hour engagement session not too long ago for friends and the Caramel Pretzel Cashew Protein Snack Bar (my favorite flavor by the way) was just the right boost I needed to keep going. 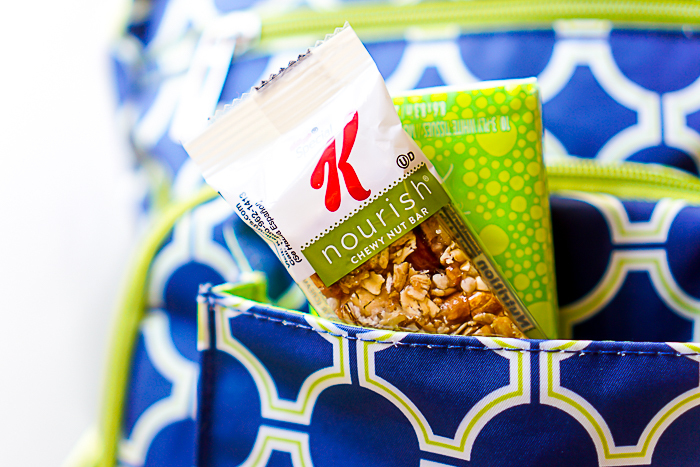 While the Special K Protein Snack Bars are my go-to snack when I am busy and can’t slow down, I really love the Special K Nourish Snack Bites and Special K Protein Snack Bites for when I have the time to snack a bit more slowly. Each little bite is small in size but big on flavor, perfect for popping into my mouth and getting a pick me up while working on the computer or out walking with Liam. 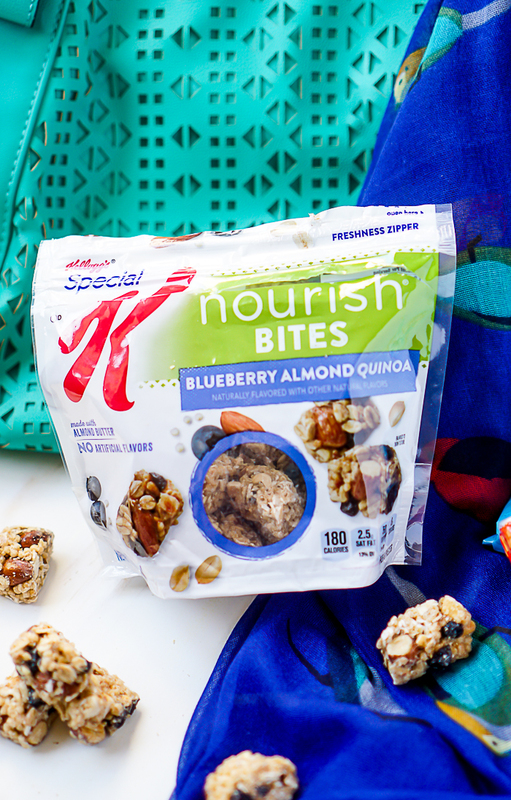 Whichever form you choose, Special K Snacks are filled with real, visible ingredients, like quinoa, pistachios, almonds and dark chocolate. You see what you are getting and the flavor is amazing! 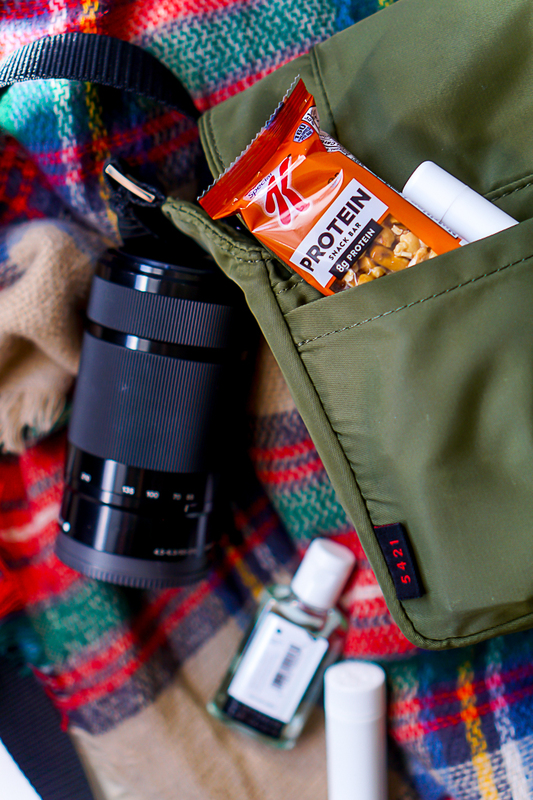 If you have a constant on-the-go lifestyle like I do then you won’t regret adding this to your list of items that you must have on hand. When I have my MOM items, ME items, and my WELLNESS items, especially Special K Protein Snacks and Special K Nourish Snacks, I know that I am prepared for every role I need to fulfill!